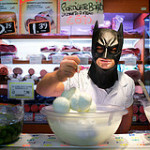 175/365 – “I’m Batman” nr.25, a photo by Luca Rossini on Flickr. 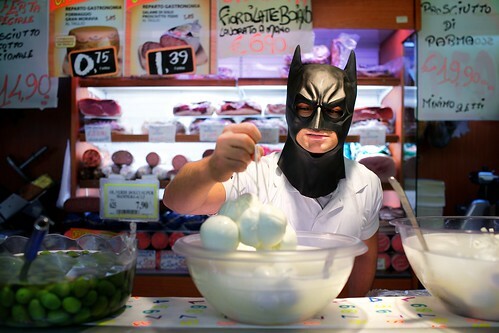 Twenty-Fifth day of the “I’m Batman” theme, looking for some fresh, milky, tasty mozzarella for lunch? At the Bat-Market down the street the Bat-Clerk will serve you excellent Bat-Mozzarella along with many other Bat-Delicatessens. Don’t be afraid, he fights the evil additives so his food is always good for you.